The good news to come out of last night is that the winter switch has been firmly turned back on. But looks to be merely a taste of things to come. Those hanging around for the weekend will be waking up to a fresh dump on Sunday. The present forecast has us receiving well into the double digits Saturday night. If the trend for underestimating snowfall continues, we could see tonnes of it. As mentioned, winter is back, after that short sunny interlude of the past week and a bit. Every day of the week to come has snowfall of some measure forecast. Good times to come! What is the top of Mount Kenashi looking like today? There’s plenty of skiing to come this season. While we don’t want to look too far into the future most of the time, it’s probably time for some to start thinking about spring skiing. 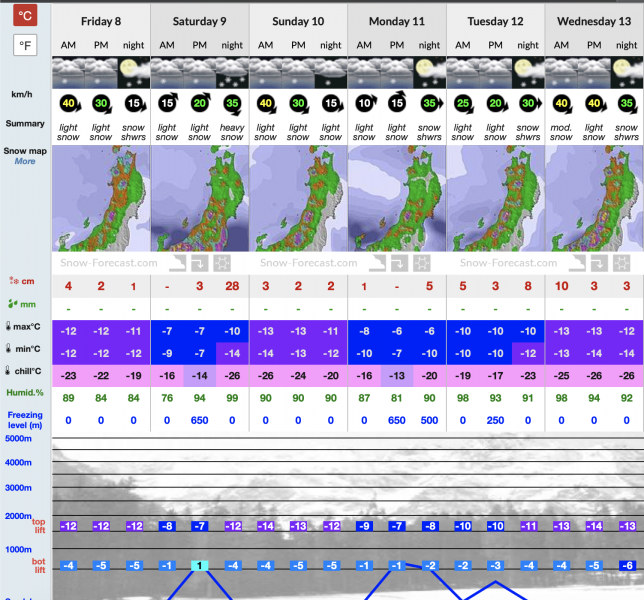 Snow Gods willing, our season continues right up until the end of Golden Week in early May. There are some pocket-friendly prices throughout late March and April to go with some kid-friendly temperatures over Easter. While we’re taking a look into the future, it would be a crime not to mention our burgeoning Green Season. 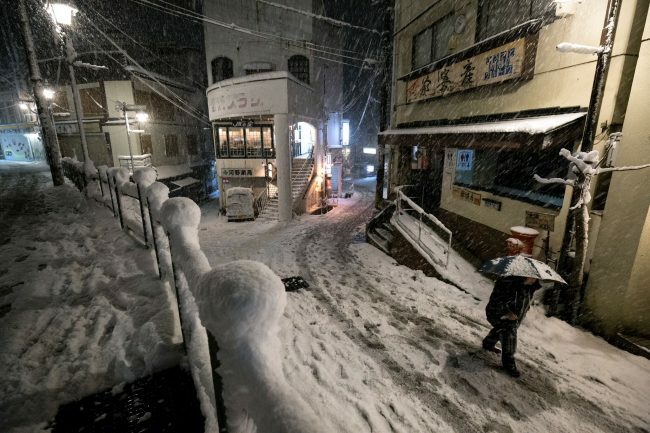 Nozawa Onsen is starting to be recognised as a great escape from the hectic and hot cities, as well as the perfect retreat for yoga, mountain biking and hiking. Oh and don’t forget the Rugby World Cup this year! Again, Nozawa makes the perfect mountain escape between matches. Please feel free to send us an email at stay@nozawaholidays.com with any queries, questions or comments. See you on the mountain!